Expressing deep concern over the findings of the first assessment report of the Intergovernmental Panel on Climate Change (IPCC), the Climate Action Network, which is a network of 850 NGOs across the world, has said that it is more than certain than ever before that human activities are responsible for climate change. The first installment of the IPCC’s fifth assessment report was signed off by nations after its summary was negotiated line by line in Stockholm last week. Sanjay Vashist, director of Climate Action Network South Asia, said in a press release that though global warming “requires immediate action”, polluters have failed to make “equitable allocations and concrete actions” to fight the danger. “The situation at hand requires immediate action. Climate impacts are continuing to mount, and we need to reduce pollution levels quickly and drastically,” he said, adding, “The IPCC report confirms that the planet is heating up, sea level rise is accelerating, the rate of Arctic sea ice retreat has doubled, the melting of glaciers and ice sheets is happening faster, and the oceans are acidifying. 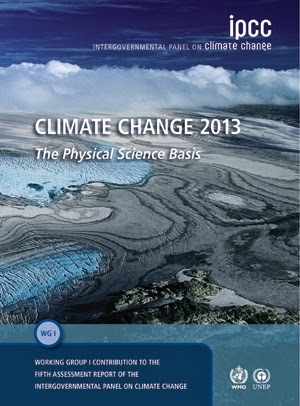 This report shows that the science on climate change is clear. The debate about who is responsible is over. It is time that governments take action to address this issue in an effective manner, and not through halfhearted efforts. Representatives of the world’s governments will be in Warsaw in November for the major climate negotiations of the year. They should ensure this report is in their luggage and informs their negotiating positions. The report will be integral to countries who have been asked by the UN Secretary General Ban Ki Moon to bring “strong pledges” to a summit on climate action next September – ahead of the 2015 conference in France which is tasked with agreeing a global climate action plan. The report says, “The global mean surface temperature change for the period 2016–2035 relative to 1986–2005 will likely be in the range of 0.3°C to 0.7°C. This assessment is based on multiple lines of evidence and assumes there will be no major volcanic eruptions or secular changes in total solar irradiance. Relative to natural internal variability, near-term increases in seasonal mean and annual mean temperatures are expected to be larger in the tropics and subtropics than in mid-latitudes.” It adds, increase of global mean surface temperatures for 2081–2100 relative to 1986–2005 is projected to likely be in the ranges from 0.3°C to 4.8°C. Even as saying that warming is likely to exceed 2°C, the report says that “it is virtually certain that there will be more frequent hot and fewer cold temperature extremes over most land areas on daily and seasonal timescales as global mean temperatures increase. It is very likely that heat waves will occur with a higher frequency and duration. Occasional cold winter extremes will continue to occur. Extreme precipitation events over most of the mid-latitude land masses and over wet tropical regions will very likely become more intense and more frequent by the end of this century, as global mean surface temperature increases. In separate statements, participants in the IPCC working groups expressed grave concern over the prevailing scenario. “Observations of changes in the climate system are based on multiple lines of independent evidence. Our assessment of the science finds that the atmosphere and ocean have warmed, the amount of snow and ice has diminished, the global mean sea level has risen and the concentrations of greenhouse gases have increased,” said Qin Dahe. Added Thomas Stocker,“Continued emissions of greenhouse gases will cause further warming and changes in all components of the climate system. Limiting climate change will require substantial and sustained reductions of greenhouse gas emissions." “Global surface temperature change for the end of the 21st century is projected to be likely to exceed 1.5°C relative to 1850 to 1900 in all but the lowest scenario considered, and likely to exceed 2°C for the two high scenarios,” Stocker further said, adding, “Heat waves are very likely to occur more frequently and last longer. As the earth warms, we expect to see currently wet regions receiving more rainfall, and dry regions receiving less, although there will be exceptions”.